A healthy business is all about measuring benefits and the results of your investment in time and money. This balance requires careful consideration in order to achieve a good return on investment. One of the hardest areas to calculate ROI is in the area of worker safety training and it’s a big part of knowing whether or not your employee training is effective? Are employees talking in the back of the class or ignoring the instructor because it’s their third course of month? If you don’t invest in the training, will one employee unknowingly put himself and potentially others at risk? There are an infinite number of ways to calculate how your safety dollars are being put to work. Whether you’re using an employee learning management system, investing in company-specific online course development, or investing huge dollars in expensive off-site classroom training for important theory courses, the formulas that help you calculate your safety training return on investment remains the same. The solution is often specific to your organization and requires in-depth analysis to determine the metrics that affect both the tangible and intangible dollar signs that will make a difference to your bottom line. On the surface, ROI is a simple ratio: divide monetary savings by training costs to arrive at a percentile that represents dollars saved versus dollars spent. If you’ve invested wisely, you should arrive at a percentile over 100 per cent; if you haven’t, the percentile will be less than 100 per cent. Sounds easy, but in practice, ROI can be difficult to grasp. Imagine, a small roofing company (10-15 employees) invests $1,250 in a weekend safety course and, at the end of the year, has two incidents totaling $600 in first aid and ambulance cost. At first glance, it seems impossible to know whether the investment was a success. How do we know how many incidents were prevented? In short, how do we put a dollar sign on this investment’s return? In order to begin calculating the real benefit of training, we need to examine its real costs against the benefits in incident reduction. This begins with direct costs, which are the direct expenses to the organization as a result of a workplace incident. We also need to be thinking historically and calculate differences in expenses and loses comparatively from year to year in order to gain an idea of tangible gains or loses. Although the company only had two incidents, we need to make a comparison with historical data to know whether the money was invested wisely. The previous year, the company had 3 minor incidents—one fall, resulting in $1,500 in physical therapy sessions, and two minor laceration, requiring $400 in first aid supplies and treatment—totaling $1,900. This means that we won’t be using the $600 in medical expenses incurred during this year, but the yearly differential of $1,300. This differential in direct costs, when applied to the training investment of $1,250, gives us a ratio of 1.04 or $1.04 dollars saved for every dollar invested in safety training. On the surface, it seems that safety training was a wise investment. A return of 104 per cent is positive, meaning that more dollars are being saved than spent. However, it’s important to look at the big picture and input all costs to determine, with accuracy, whether these investments are generating real returns. Direct Costs Previous Year ($1,900) + Lost Productivity Previous Year (12h x $20/h X15 men = $3,600) – Total Loses Last Year = $5,500. Direct Costs This Year ($600) + Lost Productivity This year ($1,500) = Total Loses This Year – $2,100. As you can see inclusion of these indirect costs significantly impacts training’s return on investment, bringing it to a negative return at 93 cents on each dollar invested. In this case, the training simply cost too much for the eventual savings, and the company may be able to improve ROI by using online course development instead of classroom sessions. Calculating ROI to reflect real workplace expenditures can be difficult, but including all expenditures (both direct and indirect) and thinking creatively about the ways your company gains or loses money can provide metrics that will improve the accuracy of predictions. Many managers are now opting to include more intangible measurements in safety ROI calculations as a reflection of human costs. Indirect costs are not directly associated with the effects of an incident, such as lost productivity, but still have tangible dollar values attached, unlike human costs, which often refers to things like loss in quality of life after an accident, employee retention and workplace reputation that are much harder to quantify. 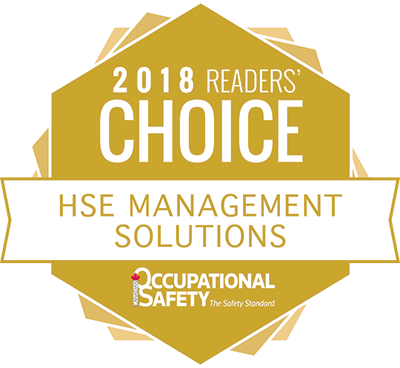 As safety ROI calculations improve and metrics are added, it has become obvious that the intangible improvements to workplace reputation and worker quality of life are what make truly great companies. Investment in safety culture means increased employee retention, reduced absenteeism, reduced training costs and improved productivity— factors that weigh heavily towards increased ROI for safety training. If this seems illogical, stop and ask yourself how much of a difference employee attitude and motivation make towards getting a job done on time? Everyone wants to work for a company where employees feel happy and looked after. By defining metrics, such as workplace contentedness, through surveys and one-on-one dialogue, employers can fully calculate the effect that safety training is having on their employees, workplace, and profits. Safety ROI is a tough calculation, but in compliance-based industry, it’s a decision we all have to make.